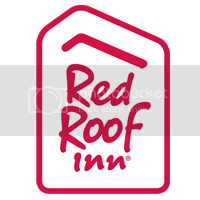 Experience Red Roof PLUS+… Adding more WOW to your stay! Located three miles from downtown Danville, Red Roof PLUS+ Danville, KY is in an extremely quiet location for both business and leisure travel. All rooms at our newly renovated Inn include free WiFi and flat screen TVs. Select rooms offer microwave & refrigerator, hairdryer, iron & ironing board, and in-room coffee. Book now! Watch a theatrical performance, dance, musical and more at the Pioneer Playhouse (2.4 miles), which is an outdoor theater and campground, or the Norton Center for the Arts (2.5 miles). Less than 1 mile away you will find Guadalajara Mexico, McDonald’s, Subway, Wildcat Wings, O’Carley’s, Cracker Barrel and more! For a full list of dining options in Danville, click here! Visit a family member or friend, attend a sporting event or explore the campus at Centre College, just 2.5 miles away from our location. Visit Shaker Village of Pleasant Hill (20 miles), which features original Shaker structures and is the largest National Historic Landmark in KY. Dine at the Trustees’ Table, learn new skills at heritage craft workshops at The Historic Centre, listen to Shakers’ signature hymns & songs, learn about farming and see animals at The Farm, hike the grounds at The Preserve and more! Experience the McDowell House Museum (2.5 miles), where the first successful removal of an ovarian tumor took place and for a display of early medical equipment. Visit Perryville Battlefield Historic Site (14 miles) and explore the museum, battlefield, walking trails, wildlife viewing, a monarch butterfly exhibit and more or the Constitution Square Historic Site (3 miles), where Kentucky’s Constitution was signed in 1792, and see historic buildings, a gift shop and a memorial to Kentucky’s governors in Governor’s Circle. Spend the day golfing on a 18 hole course or a nine hole regulation course, enjoying a meal at the 19th Hole Restaurant and shopping at the Pro Shop at the Bright Leaf Golf Resort. Just 9.4 miles away. Watch a first-run movie at Danville Cinema 8, just 3.9 miles away. Click here for show times. When staying with us at Red Roof pLUS+ Danville, enjoy a hot breakfast every morning (6 – 9:30 a.m.), which includes biscuits & gravy, sausage, pancakes, cereal and bread items. Head to the outdoor seasonal pool and work up a sweat in the fitness room. Time for you to experience why Danville was voted one of America’s Best Small Towns.